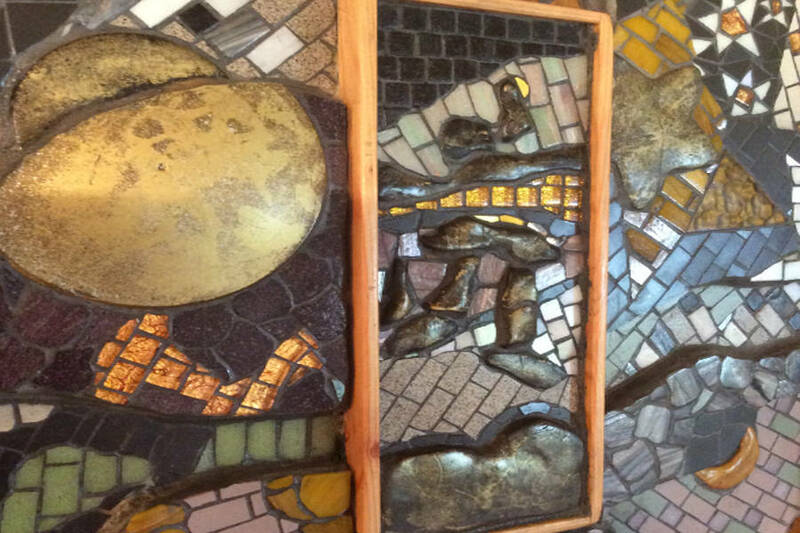 Upland Member Kate Anderson has won an Award for her relief mosaic entry to the British Association for Modern Mosaic members selected exhibition: 'Open Ended' being held at The London School of Mosaic. Kate won 2nd Prize for 'Meeting Place -7th Time' in which traditional materials have been fused with her own individual techniques. The piece is concerned with the meeting place of time and memory, and intuited traces of community. The exhibition continues until Oct.19th. Please see: www.bamm.org for further info.